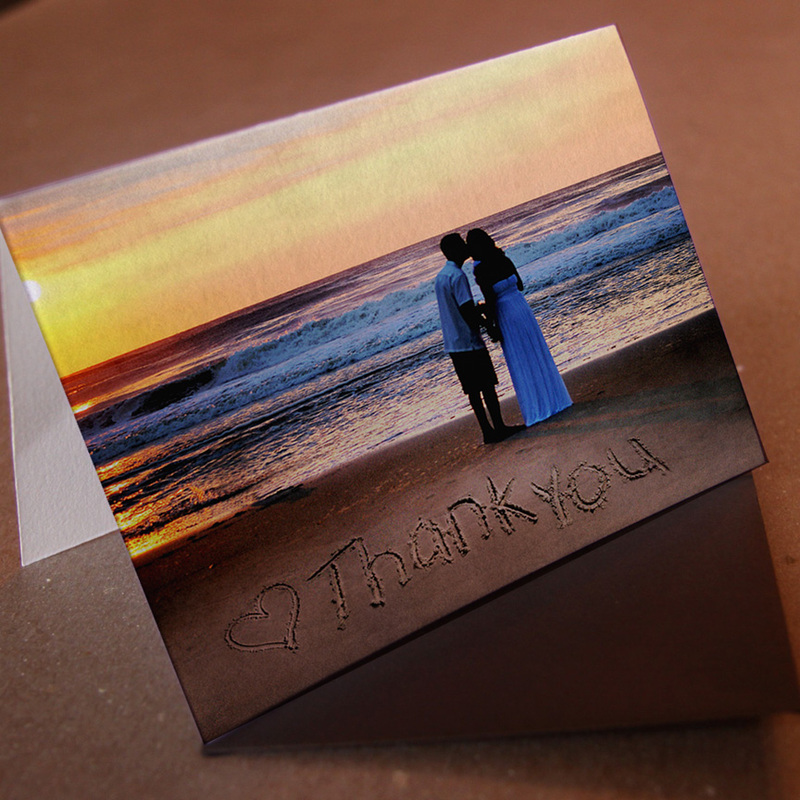 Expressing gratitude with a thank you card is always a nice gesture. The featured couple wanted to add a personal touch by using a photograph from their sunrise wedding. 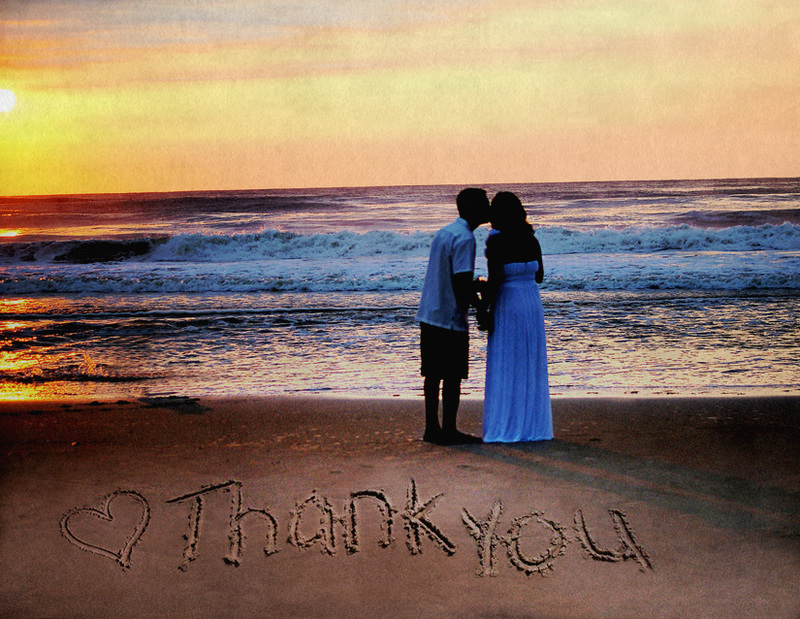 Quantum Design Lab added a digitally-hand-drawn “♥ Thank You” in the sand. We removed the dog splashing at water’s edge along with footprints in the sand which took attention away from the couple’s beautiful silhouettes. We also enhanced the color, lighting, and overall sharpness and texture of the picture.